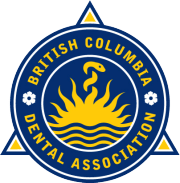 If you’re experiencing a dentist emergency, call 604-805-2500 – 24 hours a day. We’ll help you through this and help you find peace of mind. The sudden toothache that wakes you up in the middle of the night, The crunchy snack that chips a tooth or dislodges a filling, The sudden mishap that knocks out a tooth. Okay, maybe we haven’t all experienced accidentally losing a tooth, but we all know it can happen easily and without warning. Any of these can mean pain, discomfort and difficulty with normal activities like eating, drinking, sleeping, even breathing. But, what else do dental emergencies have in common? Anxiety – worry – concern. It’s natural. Many people don’t know what to do when faced with a dental emergency. Should you rush to the hospital? Should you place a hot cloth on the jaw – a cold cloth? Should you take painkillers – or not take painkillers? Can a lost tooth be saved? Should you put the lost tooth in a baggie in the fridge? 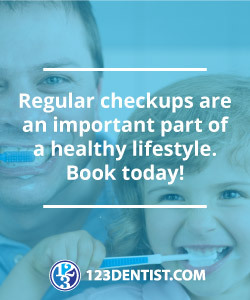 Can you eat and drink before you see the dentist? And in an emergency, you should know where to look for the answers. That’s why we created the 24 Hour Dental Emergency Line. When you experience a dental emergency, and we’re not available – call 604-805-2500. On our Emergency Line you’ll speak to a real dental professional. We’ll help you understand what you should do – and what you shouldn’t. We’ll help you book the soonest possible appointment so you can get the problem resolved. And most of all, we’ll help you to reclaim your peace of mind. Knowing what to do makes all the difference. And now there’s only one thing you need to know. We’ll help you through this. 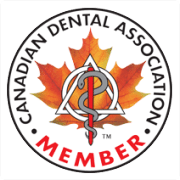 This service is made possible through our membership in 123 Dentist, a network of community-based dentists using technology and collaboration to provide our communities with dental care. Do you need an after hours local emergency dentist?